Early Earth has always had a volatile reputation. Previous studies have estimated various scenarios ranging from an ice-covered, snowball Earth to a sweltering environment complete with acidic oceans. 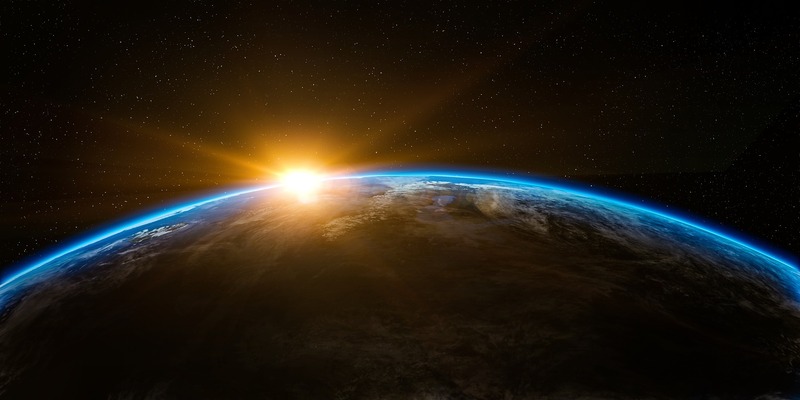 It turns out that the first few eons of our planet may have been much more habitable and mild than previously theorized, according to a new study. The research, published in journal Proceedings of the National Academy of Sciences, could indicate that other planets could also sustain life. Researchers from the University of Washington used seafloor weathering data to run simulations of what conditions were like during the Archean Era around four billion years ago. For the study, the researchers created a computer simulation of the Earth’s temperatures over the past four billion years, and seafloor weathering data played a key role in the research. Seafloor weathering occurs when the seabed erodes due to seawater circulating through cracks in the Earth’s crust. Carbon dioxide in the water is then trapped in the Earth’s crust which helps regulate the ocean’s acidity and temperatures. “Seafloor weathering was more important for regulating temperature of the early Earth because there was less continental landmass at that time, the Earth’s interior was even hotter, and the seafloor crust was spreading faster, so that was providing more crust to be weathered,” said Joshua Krissansen-Totton, first author of the study. The researchers ran several simulations with varying scenarios accounting for different continent sizes, temperature sensitivity, and chemical weathering in order to get the most accurate picture of early Earth. The results showed likely temperatures during the Archean ranging from 0 to 50 degrees Celsius (32 to 122 Fahrenheit). The exciting results provide a more accurate understanding of our planet’s first few billion years. The study also points to the possibility that there are more planets with mild temperatures within the habitable zone and these could easily support life.